Come for the mouth-watering recipes and culinary tips, and stay for the fun! 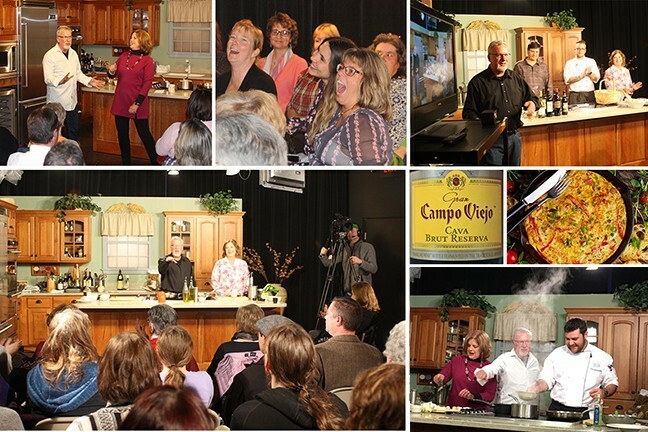 Since 2000, New England Cooks has been edu-taining live audiences about the region's treasure trove of food choices from its television studio in Barre, Vermont. Esteemed chefs from some of the area's best eating establishments demonstrate their skills and share their secrets to making great dishes. Farrell Distributing wine specialist Stuart Timmons expertly pairs the evening's culinary creations with spirits both local and from throughout the world. Co-hosts Tony Campos and Sandy Zielinski engage the audience with their love of food, good humor, and a bit of sibling rivalry. And, after the show, everyone gets a taste of the fine dishes just prepared. Please join us at one of our upcoming shows! Tickets for each show become available once our guest chefs are announced at https://www.eventbrite.com. Questions? 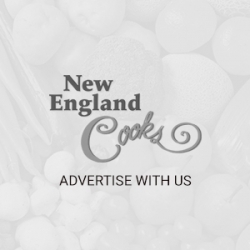 Feel free to call us at 802-476-1087 or email newenglandcooks@gmail.com.